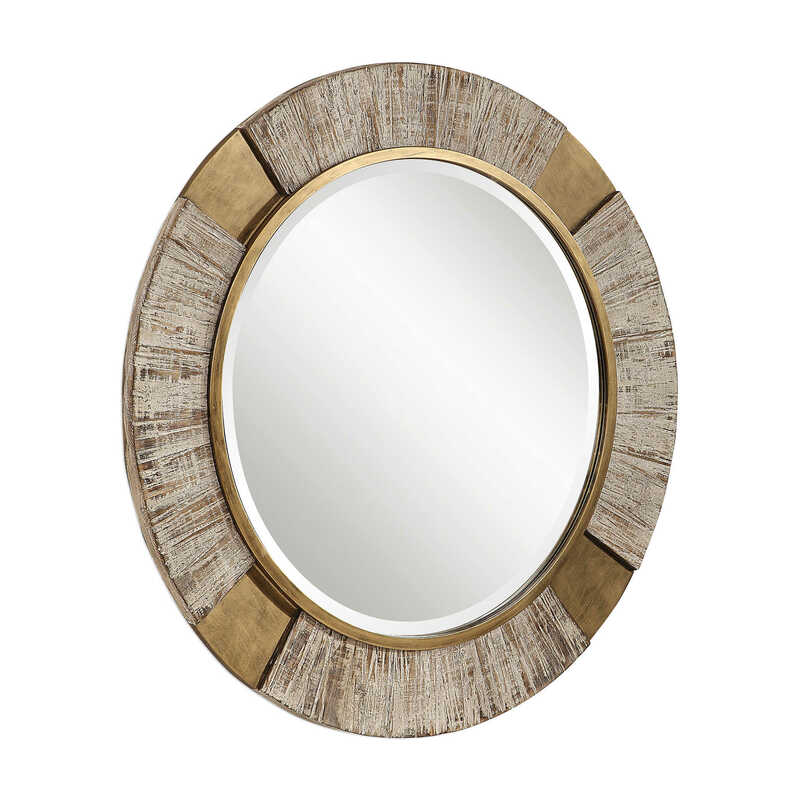 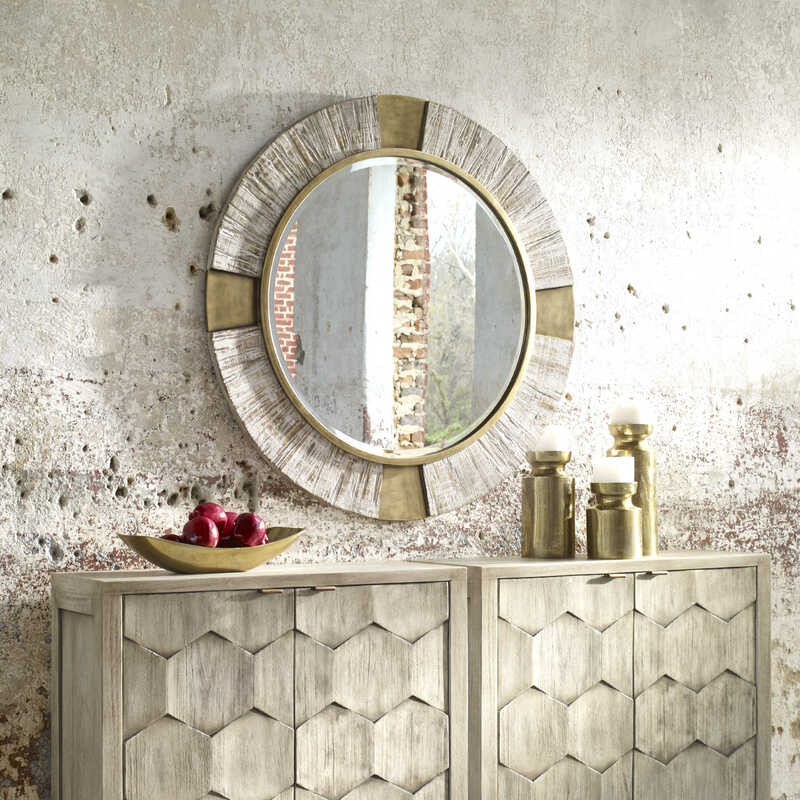 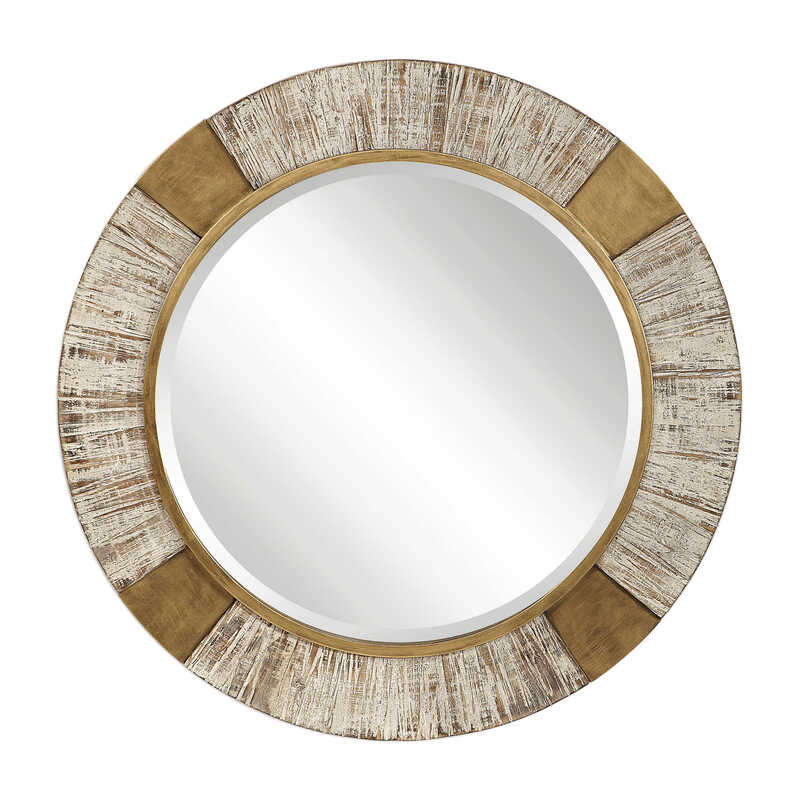 This round mirror has modern style elements mixed with rustic flair that create an elevated design. 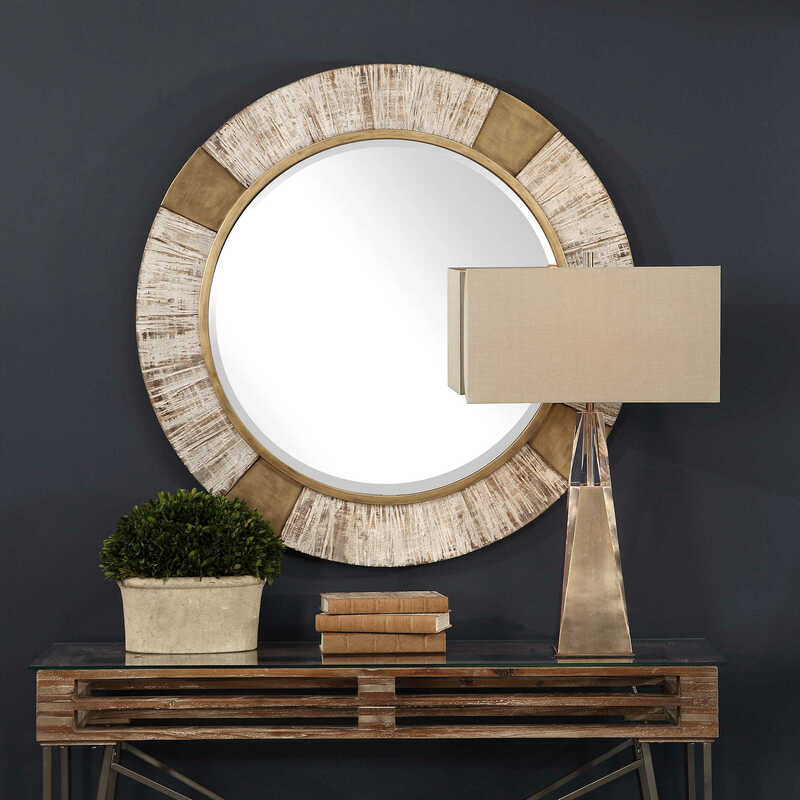 An iron frame finished in a heavily antiqued metallic gold is combined with raised solid fir wood panels that feature a heavily distressed aged white wash. 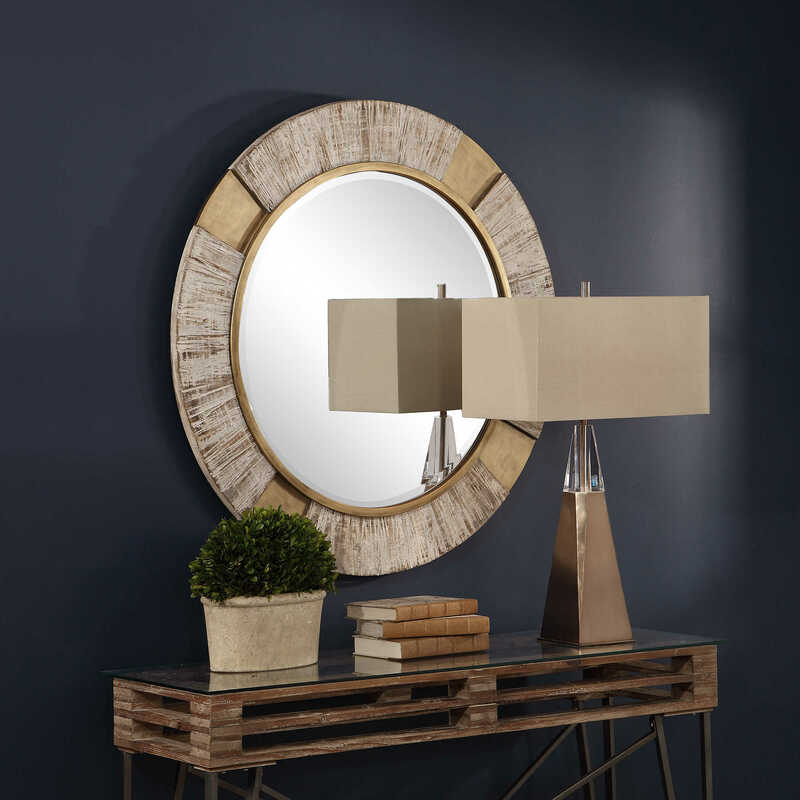 This piece has a generous 1 1/4" bevel.